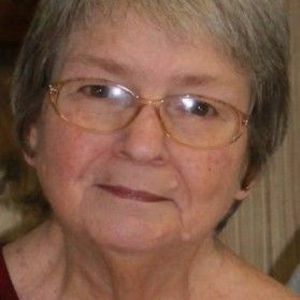 Greenville- Brenda Nell Webster, age 69 of Greenville died peacefully on March 25, 2016 at Owensboro Health Regional Hospital surrounded by her family. She was born in Greenville on September 16, 1946 and was employed at Malone Do it Best Home Center for over 25 years. She was a member of Cave Springs Missionary Baptist Church. Survivors include her husband of 50 years, Barry Webster and sons Todd (Sandy) Webster of Greenville and Mark Webster of Louisville; grandson, Travis Webster of Greenville. Sisters Jean Wells, Joy Ragland, and Joetta (Jim) Brown all of Greenville; brother James Donald (Betty) Coombs of Groton, NY. Several nieces and nephews. She was preceded in death by her parents Reginald and Artie (Lile) Coombs, granddaughter Angelica Webster and infant brother Darrell Wayne Coombs. 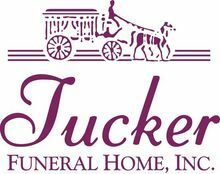 Funeral services will be Monday, March 28, 2016 at 11 AM at Tucker Funeral Home with Bro. Terry Chaney officiating and assisted by Bro. Chad Clark. Burial will be in Cave Springs Cemetery in Greenville. Visitation will be held Sunday, March 27, 2016 at 4 PM at the funeral home. I'm praying for God's comfort for family and friends. Praying for your loss of Mom ,who was such a trooper and, so good to know how much love and support she had from y'all ,what a true loving family and friends! Mom Brenda you are already in heaven, in peace! Uncle Barry, Todd, Sandy, Mark, and Travis, as well as The SisterHood and Uncle Don, I am so very sorry for your loss. Just know my heart and prayers are with you all.